Over the next week we will be posting overviews of the 2014 Oregon and Washington updated rankings by position. All of us at NEI and the Barton Football Academy feel fortunate to be able to work with a majority of the region’s top athletes. There’s not a perfect ranking system, but we do our best based on all of the criteria listed. The Pacific Northwest is the fastest growing football region in the country and the kids have a lot to be proud of. **A special thanks to Ryland Spencer and Scott Enyeart for all of their hard work and dedication. They are as good as they come at what they do. 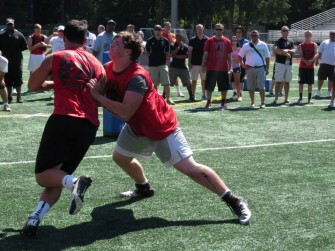 This year’s WA offensive linemen are a talented group with what looks to be a double-digit D1 offer class. Kaleb McGary #1 (Fife) holds offers from a majority of the top schools in the country. We have a three-way tie at #2 as Drew Clarkson (Camas), Randin Crecelius (Cascade), and Morgan Richey (Bellevue) are all legit D1 kids with multiple offers. Clarkson is working on half the Pac 12 with UW, Wash St, and OSU already. Crecelius just received his first offer from Portland St, and plays with a nasty streak needed at the highest level. 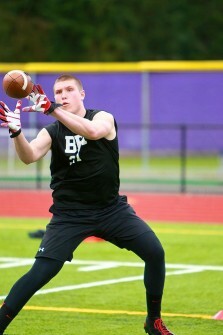 I foresee Randin being one of the fastest rising recruits in the NW and a kid that will have multiple big time offers. Richey has 8 scholarship offers and will have multiple Pac 12’s before he is done. The kid’s a player. At 6-5 Andre Dillard #5 (Woodinville) is one of the fastest rising kids in the Northwest with three D1 offers. Drew Springfield #6 (Eastside Catholic) and Reggie Long #6 (Skyline) are both very talented, projecting at the D1 level and currently right on the bubble with multiple schools. Mason Johnson #8 (Kentlake) is a D1 kid, but may end up being on the defensive side of the ball. He is equally talented on both. Elijah Klein #9 (Bellarmine Prep) has ideal D1 size and could jump up this list quick, while Jonah Jordan #10 (Mead) already holds three D1 offers but projects more on defense or at center. Kayden Maughn #11 will lead a very talented Chiawana team up front, with Nick Hensley #12 (Glacier Peak) and 6-4 320 pound Robert Luke #13 (Charles Wright) joining the party and jumping up the boards. A kid not on this list that will be shortly is Owen Taylor of (Gig Harbor). There is a host of other talented lineman listed, with Washington potentially having 20+ kids that project to at least the FCS level. The region’s top duo Marcus Griffin #1 and Shane Bowman #2 will be back to lead the nationally ranked Bellevue Wolverines. Griffin recently participated in the Elite NIKE Opening and projects as one of the better D-tackles in the country, while teammate and close friend Bowman is the real deal and has committed to Oregon State. 6-4 1/2 325 DT JT Tiuli of (Federal Way) is an absolute beast inside and couldn’t be stopped at our Elite Events in the winter. He is an unquestioned D1 athlete and one of the more underrated players on the west coast. Mason Johnson #4 (Kentlake) 6-3 290 comes back looking like a Conference POY favorite after dropping 35 pounds over the off season. The kid is big, athletic, and moves extremely well. Jarius McDade #5 (ODea) has multiple offers and is similar and equally talented to Johnson , while Jonah Jordan #6 (Mead) is an outstanding D-lineman due to his overall athleticism. The next couple kids on the board without offers, who are equally talented inside are Monike Failauga #7 (Fife) 6-1 300 and JoJo Alkhedairy #8 (Meadowdale) 6-1 295. Both are a load inside and have dominated most opponents. 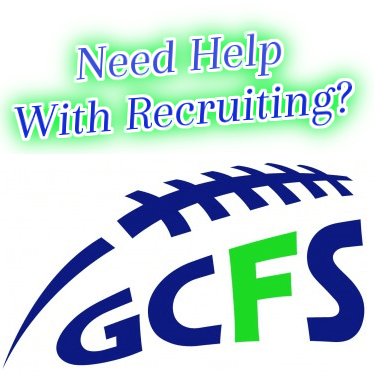 Two kids that added offers over the last few months are Nick Foerstel #9 (Tumwater) and Jevin Pahinui #11 (Mountlake Terrace). Foerstel comes off the ball as quick as any D-end in the region and has a frame to add size as noticed by Northern Colorado, while Pahinui is legit landing a Wyoming offer. Dee Angelow Viena #12 (Juanita) is one of the fastest rising recruits in the region, with multiple breakout performances at our elite events and on the camp and combine tour. 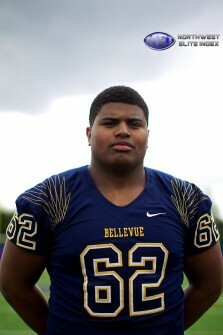 The D-lineman in Washington are for real, much like the O-lineman, as the big kids from around the Northwest can play. Drew Sample #1 (Newport) is a phenomenal kid and could have an All-American career at Boise St. He is one of those athletes that is good at whatever he does.. Hockey, basketball etc..
Dylan White #2 (Camas) projects at the D1 level in both football and baseball, as he will be a key member of this year’s Papermaker team on both sides of the ball. Henderson Belk #3 (Kamiak) has jumped up the boards quick with some impressive camp performances, while Bowe Mckay #4 has grown into his frame and will be a big factor for a talented (WF West) team.